Something in me clicked about a year ago (actually just over 13 months ago) and I decided I wanted to meditate every morning, seven days a week. At the time I couldn’t sit still for more than a few moments, so meditating for 5 or 6 minutes was about the most I could do, but I maintained the commitment to practice each day and stuck with it. Now more than 13 months later, I meditate for 30 – 40 minutes each morning and haven’t missed one day since I started. The benefits of daily meditation are many for me, although that’s not why I meditate. 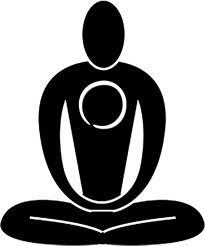 Everyone meditates for different reasons and enjoys different benefits. As the Buddha says, there is no one way. Some use meditation to take them to a higher place, other use meditation as a drug, while others yet, use meditation to escape something that is uncomfortable for them. There is no magic in meditation. For me, it is pretty simple. While I meditate, I am present, observing my breathe, my body and my feelings. I have learned not to expect any magic, but often when I finish a session, I am relaxed and calm. Throughout the rest of the day, I find myself better able to stay grounded, better able to concentrate (my friends will laugh to hear this) and better connected to who I am. I also find it easier to stop and observe my emotions as they arise which is very useful for choosing how I act rather than letter my emotions run my life. Because each of my meditations ends with a short sequence of prayers, affirmations, expressions of gratitude and requests to the universe, I feel eternally blessed for my life and completely content that I am experiencing my life journey as it is meant to be. To be fair, meditation may not be the only cause for being in control of my life, as I have spent many years studying the science and philosophy of happiness and have great teachers and mentors who have provided considerable inspiration and insight (lately it’s been Brian Johnson’s Philosopher’s Notes and en*theos, yeah!). Recently I have been learning about the benefits of having structured meditation sessions at multiple points in the day so I am trying to work an evening meditation into my routine. Results have been mixed so far as I have less structure in my evenings than my mornings…but I will figure it out and make it happen. Thanks! I have decided to meditate for 365 as well. Not as a New Year Resolution but as something I have craved for a long while! Thanks for your insight….. Thanks Cat! I am sure you won’t regret your commitment. Thanks Eliot for such a wonderful article. What is structured meditation? Glad you enjoyed it. I am almost at three straight years without going a day without meditation – it is like brushing my teeth now. What I mean by structured, is building it into your schedule. Namaste.